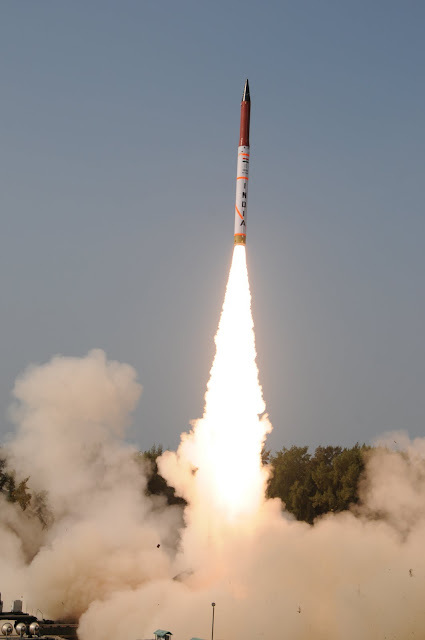 After nearly two decades of nuclear competition with Pakistan, India with the several long-range ballistic missiles in development is seemingly now paying attention to its future strategic relationship with China, a think-tank report has said. “Now, with several long-range ballistic missiles in development, the Indian nuclear posture is entering an important and dynamic new phase. After nearly two decades of concentrating on competition with Pakistan, India’s nuclear outlook now seems to be focused more toward its future strategic relationship with China,” authors Hans M Kristensen and Robert S Norris said in a report for Bulletin of the Atomic Scientists on Wednesday.